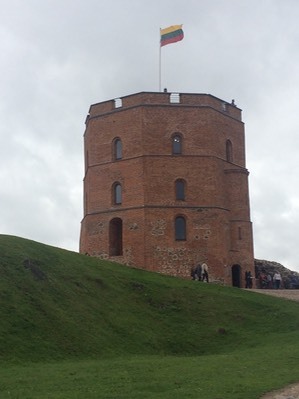 We arrived in Vilnius after an easy 4 hour coach trip. No border checks with a Schengen crossing. Some good birding out of the coach window with numerous White Storks being the highlight. 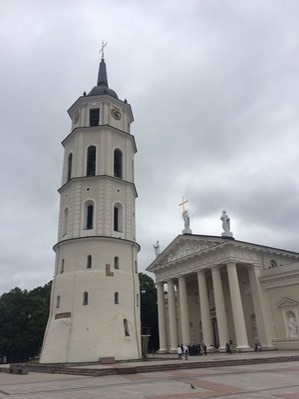 Vilnius is known as the city of spires and it doesn’t disappoint. Again a slow approach gave us one day of city sightseeing and one day to travel to Trakai Castle. The hugh Cathedral and its separate clock and bell tower. 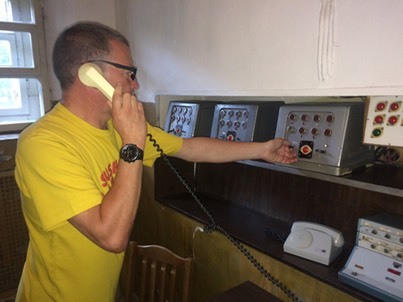 The Museum of genocide victims is housed in the building that used to be the KGB headquarters and is still equiped with communication equipment. With no “Do not touch” sign it was hard to resist…. 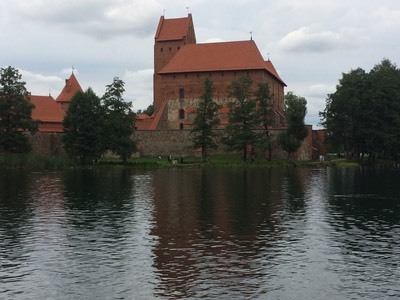 Trakai Castle, almost fully restored is a lovely location but clearly lives up to its listing as Lithuania’s most popular toursist destination. It was heaving with people. The Cornish Pasty-like local specialities here were excellent.